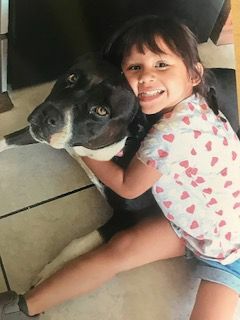 AZUSA, CA - (For Immediate Release) - Kids love to show off their pets -- and students at the Kidzone Preschool in Santa Fe Springs, CA recently got the opportunity to win prizes for doing so. The children were participants in a pet photo contest sponsored by Cardinal Pet Care, maker of the Crazy Dog line of pet grooming products and treats. To enter the contest, the preschoolers submitted a photo of their pet. If they didn't have a pet, they could substitute a drawing instead. The photos/drawings were judged by the "pet parents" at Cardinal's headquarters. Three winning entries were selected on the basis of cuteness and originality and how well they reflected Crazy Dog's Backbones of Character initiative, a program that teaches kids core values through the responsibility of caring for pets. 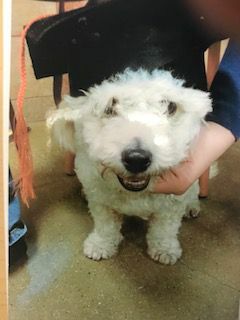 First place in the contest went to a photo titled "Outstanding Student," which showed the importance of training dogs. The second-place photo, "Most Loving," was selected because it expressed loving and caring for pets, while the third-place entry, "Sibling Bond," depicted the inclusion of pets as family members. The three lucky winners each received a Crazy Dog gift basket filled with goodies for themselves and their pet, including Crazy Dog treats, dog shampoo, heart-shaped pet bowls, a stuffed dog, dog toy, and more. But no child was left without a prize - all kids who entered the contest received a stuffed animal cat, courtesy of Crazy Dog. The three winning photos were also posted on Crazy Dog's social media pages. "The tremendous enthusiasm that the children at Kidzone Preschool brought to the pet photo contest, and the well-thought-out content of their photos, really impressed all of us at Cardinal," said Tony de Vos, president/CEO of Cardinal Pet Care. 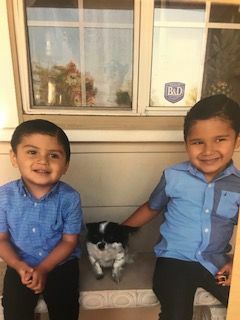 Susan Rodriguez, Director/Administrator at Kidzone Preschool, agreed that the contest generated great excitement among her students and spoke to their love of pets. She said one little girl became so attached to her stuffed cat that she wouldn't let it out of her sight and insisted on bringing it to school with her. Crazy Dog has a long history of being involved in children's charities and programs through its non-profit Crazy Pet Children's Foundation, noted de Vos. "A natural and strong bond exists between kids and pets, and this is the underlying principle that the Crazy Pet Children's Foundation was built on," said de Vos. "We believe that the child-pet bond can be used to teach kids important values such as kindness, sharing and responsibility through caring for animals - values we refer to as the Backbones of Character." Based on the positive response to the contest, Cardinal and Kidzone are drawing up plans for future child/pet initiatives, including bringing pets into the classroom and taking older students on field trips to local animal shelters.